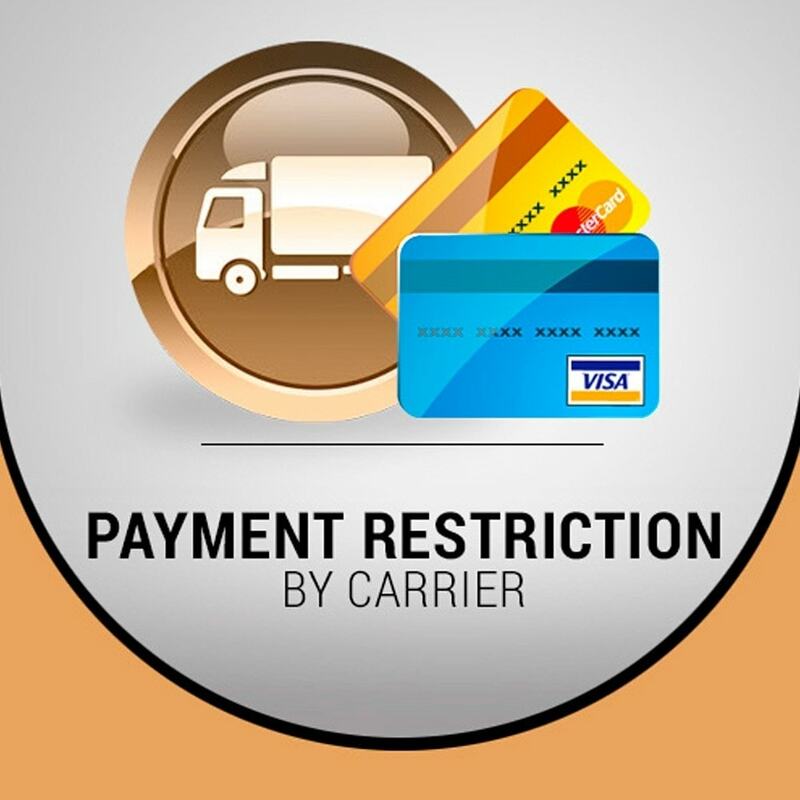 If a customer chooses to pay shipping to an area we can limit who can not pay cash on delivery. If a customer chooses a shipment abroad we can choose that only you can pay by credit card. 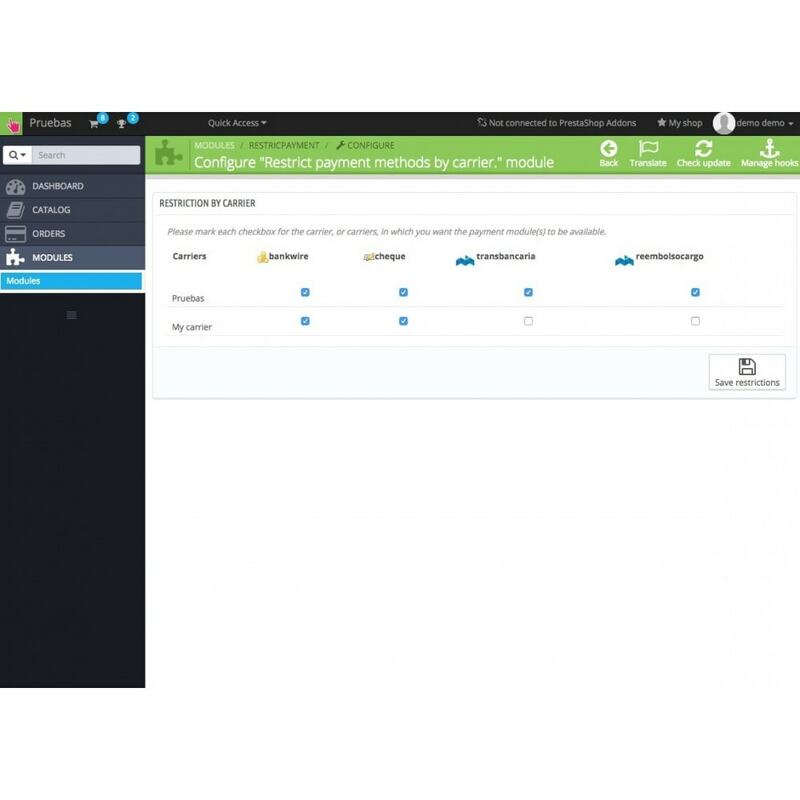 This module gives you an ability to restrict payments for selected carrier. 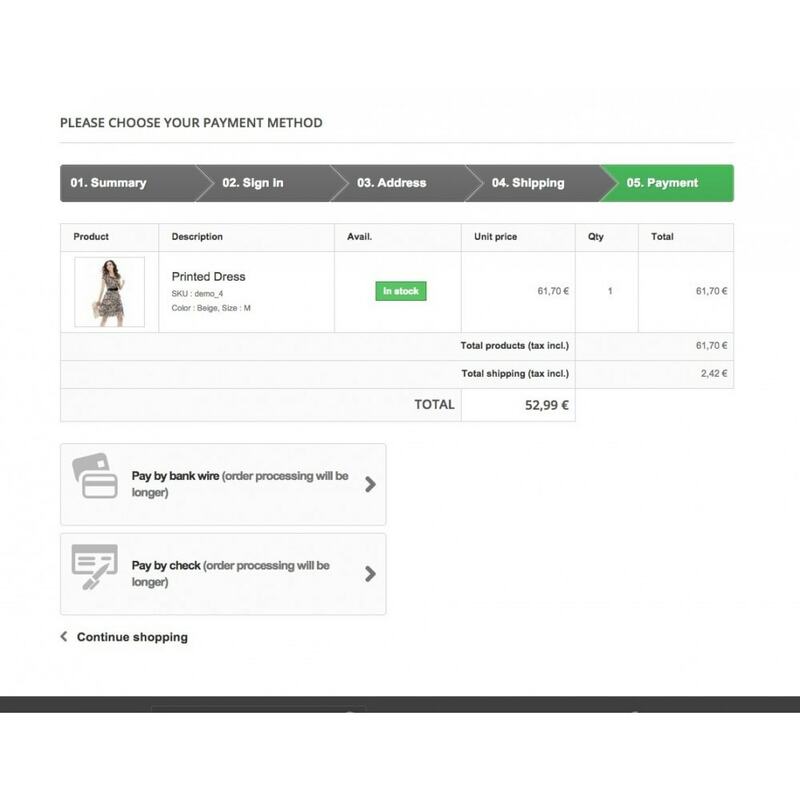 Customers see what types of payment are available depending on the delivery method they have chosen during checkout process. By default all options are activated.